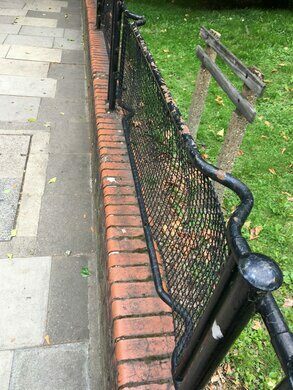 Black steel and mesh railings line various estates within London. Though the architectural oddities look like strange pieces of post-war architecture, they once served a vital purpose. These fences were originally emergency stretchers used by Air Raid Protection officers. 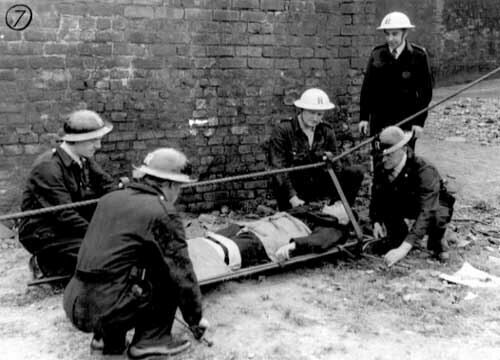 The officers would put those injured during the Blitz onto the stretchers and carefully haul them off toward safety. It’s clear that the government anticipated such medical equipment would be needed, as more than half a million stretchers were produced in the years before World War II began. The stretchers, which were no more than two steel poles flanking a stretch of wire mesh, were quick to mass produce. They were also easier to clean than conventional wood or canvas stretchers. 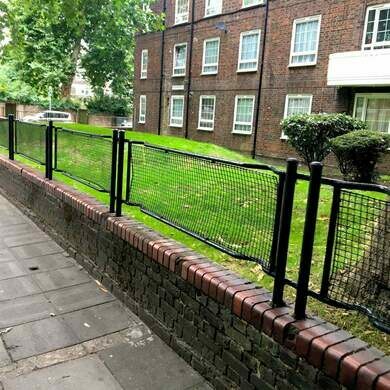 During the war, many of London’s housing estates lost their original metal railings when they were manufactured into weaponry to serve the war effort. With a large stockpile of stretchers following the war, the London City Council decided to have the stretchers welded vertically together, fixed onto poles, sunken into concrete, and used to replace this missing fencing. The two kinks in the poles, designed so that they could be rested on the ground then picked up easily, can still be seen on the railings today. The Stretcher Railing Society campaigns for the promotion, protection, and preservation of London's Stretcher Railings, they can be found on their website and on Twitter. The society's website provides a map of Stretcher Railing locations, these map coordinates point to Tabard Gardens Estate, where one example of such railings can be found. This location is a three-minute walk away from the Hanky Place railings also.